2018 - Temenos celebrates 30 years! 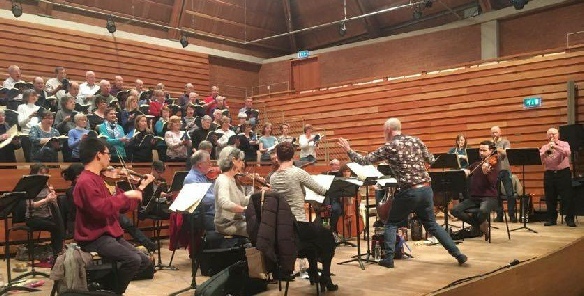 On 10 March 2018, Temenos gave a special concert of Bach’s wonderful Mass in B minor in the Pamoja Hall in Sevenoaks School with a professional baroque orchestra, and soloists Rebecca Outram, Robin Blaze, Sam Boden and Timothy Nelson. On 16 June 2018, Temenos went back to its roots in Shoreham Church, with a programme based around the beautiful texts of the Song of Songs. Patrick gave the first performance of the moving ‘Song of Songs’ which composer Paul Crabtree had written specially for him (set to a poem by Wilfred Owen). Then we stepped across to the garden of The Old Vicarage to enjoy food, wine, cake - and music from the Sue Rivers Jazz Quartet.